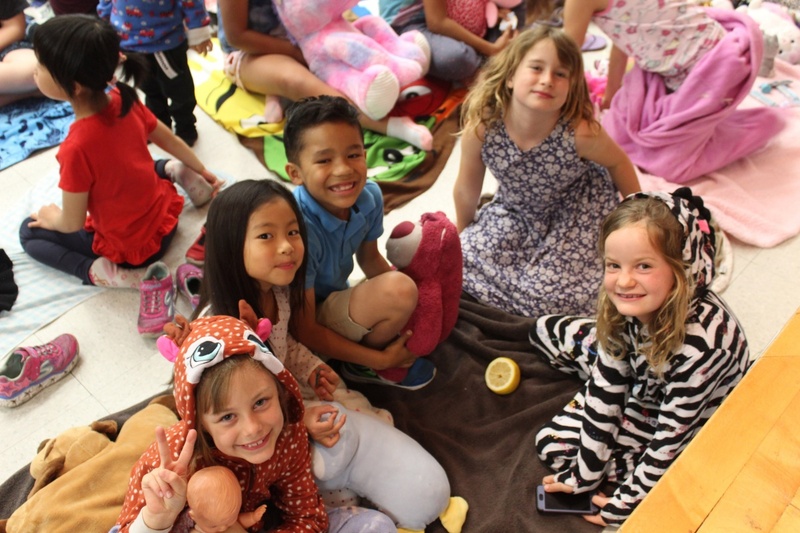 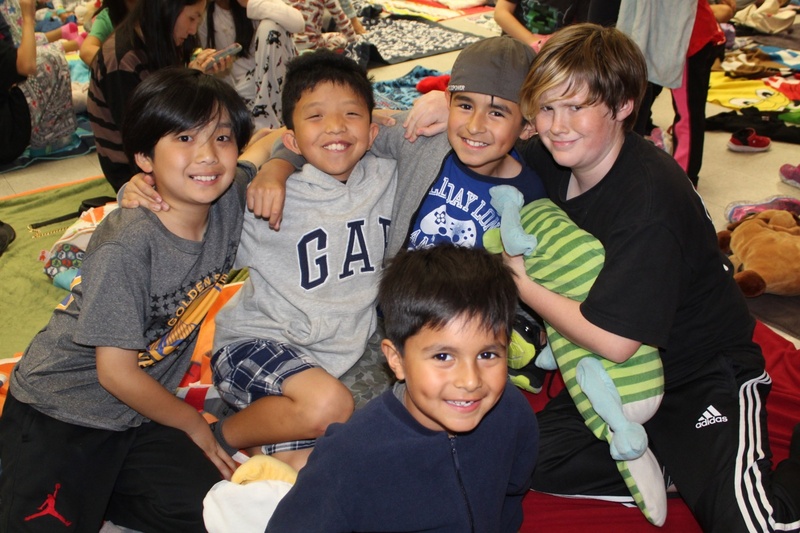 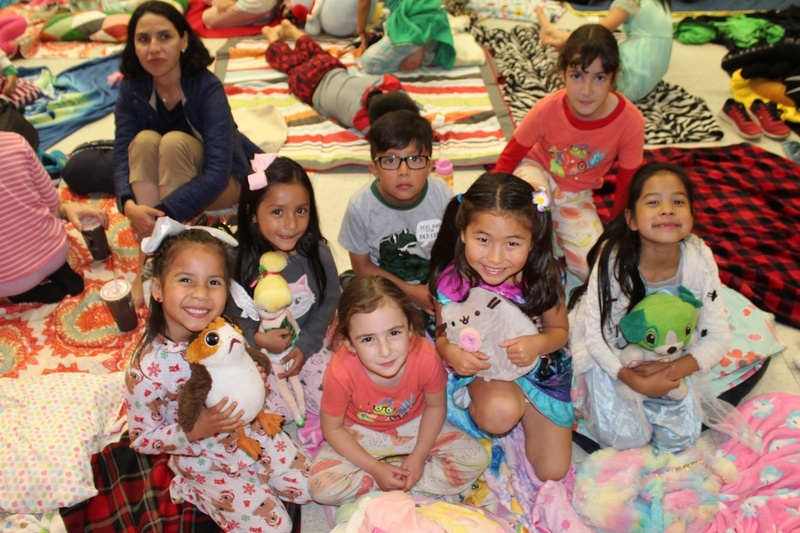 They hugged teddy bears, sat on blankets and had what looked like a giant slumber party inside the multipurpose room Thursday night at Monterey Hills Elementary School. 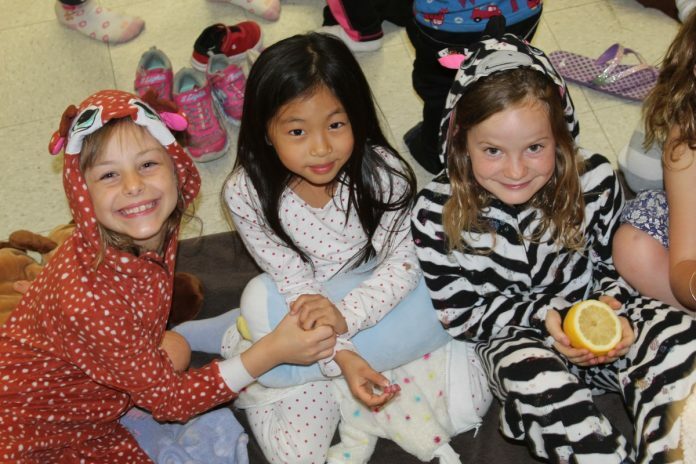 The annual Pajama Story Night on campus, now in its 18th year, wasn’t exactly the perfect place to catch some sleep as Amy Blum had to quiet the crowd – a roomful of excited students brought by their parents taking part in the long anticipated event – more than once as she raised two fingers in the air, meaning please stop talking. 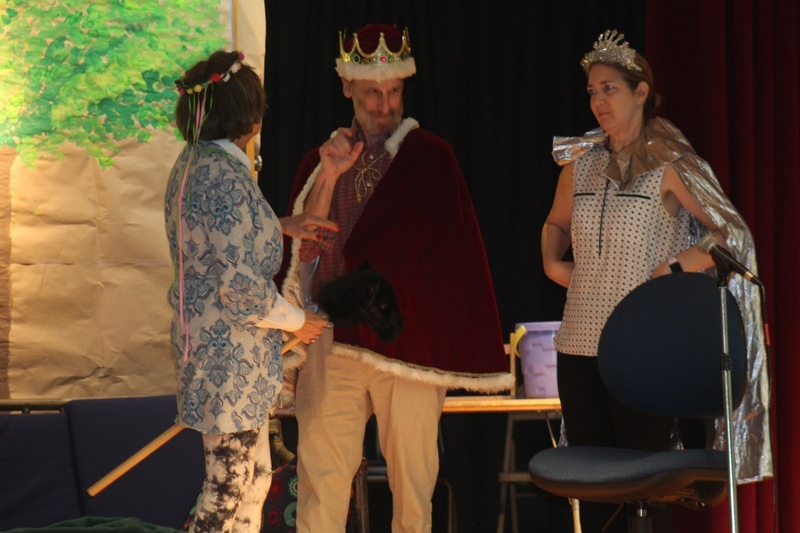 It happens every year as Blum, the school’s longtime librarian knows some kids have been looking forward to this night all year long. 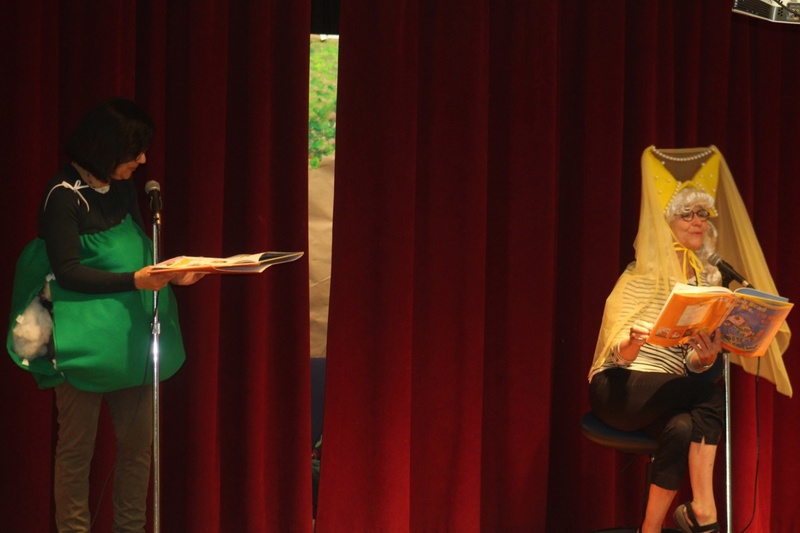 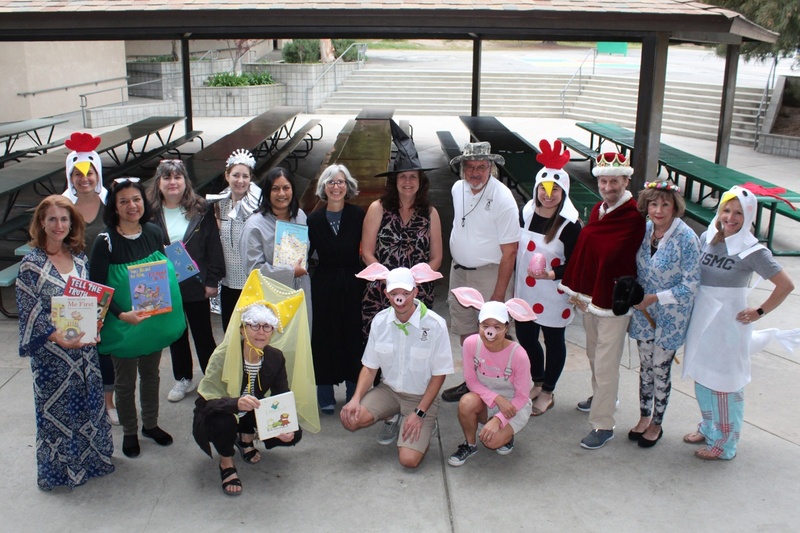 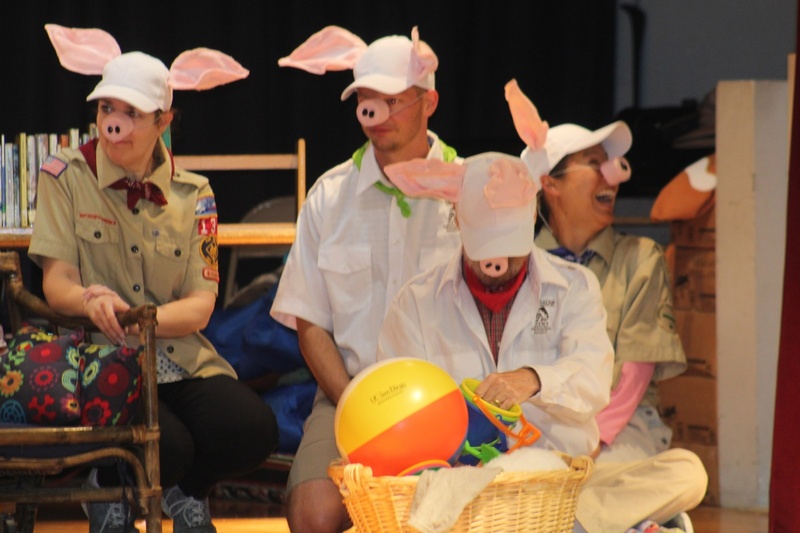 “They really enjoy it,” she said, explaining that teachers, past and present, act out a series of children’s books on stage with the help of a narrator. 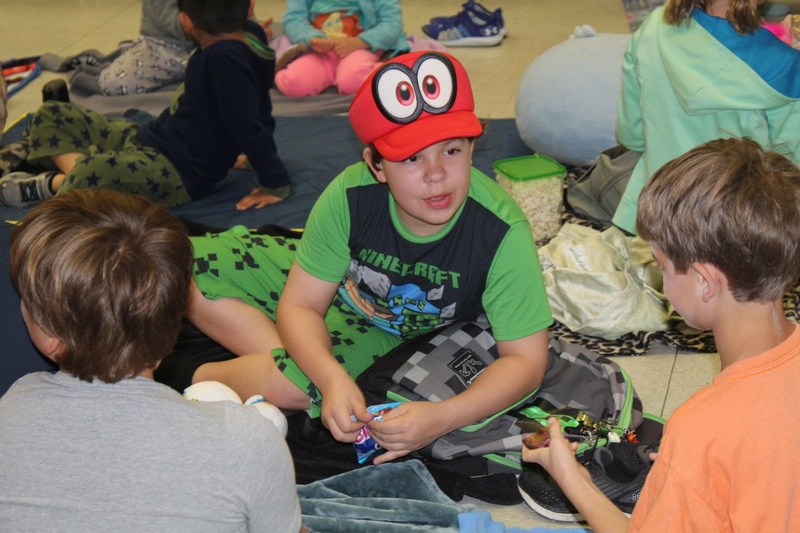 “It has become a real extravaganza,” explained Blum, who initially held the event in the library, where it began as a modest venture, but has evolved over the years to now include backdrops and costumes and become a “really beloved community event,” she said, noting that not only do the kids enjoy it but the performers as well. 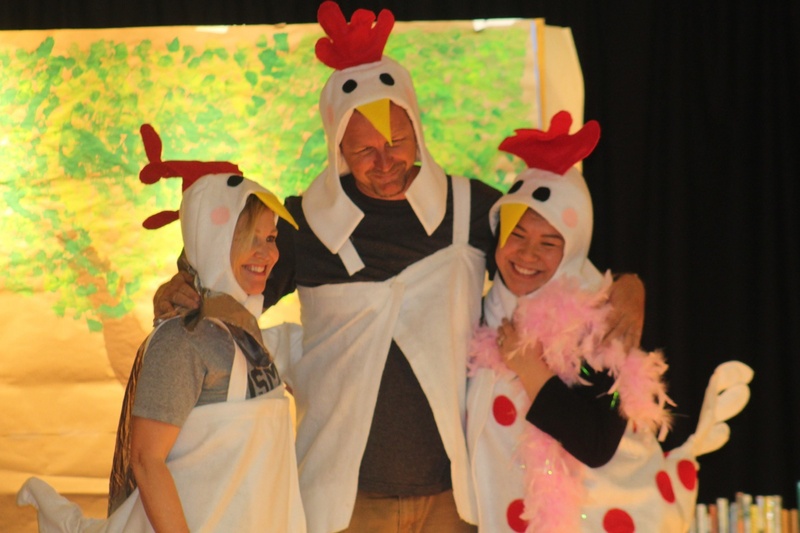 Some former teachers return to the school in their retirement years to be a part of the cast.